Google is strangely demure on the topic — instead of publicly gloating or launching full-scale publicity skewering the iOS fail (which, in all probability, is practically guaranteed to come along at some point, whether from Google or one of its Android partners like, say, Samsung). Instead, say reports, the company is merely waiting to find out the outcome of its Google Maps app submission to the App Store. Maybe then, we’ll be able to forget the many mapping atrocities that have suddenly been thrust upon the masses. Whenever the GMap app arrives, it won’t be too soon. So should users sit idly by, waiting for this application to appear in the App Store? Should they cross their fingers, hoping for Apple to push out a fix pronto? If they rely on that iPhone for navigation, then no — in this case, patience is no virtue. (It could even be kind of dangerous.) And if you rely on transit info, poor you — even if Apple does fix the glaring problems, it’s unlikely to restore public transportation directions and schedules. If you commute via bus or subway, you’ve got several options, including HopStop, an Embark App, Lumatic City Maps, The Transit App, iNextBus, Roadify, or a combination of these (most of which are free). As for roadways, you could pony up for a pricey nav app like Navigon or Garmin (both are $39.99), or go with a cheap or free application like crowd-sourced Waze (free), Scout (free) or MotionX GPS Drive (99 cents). 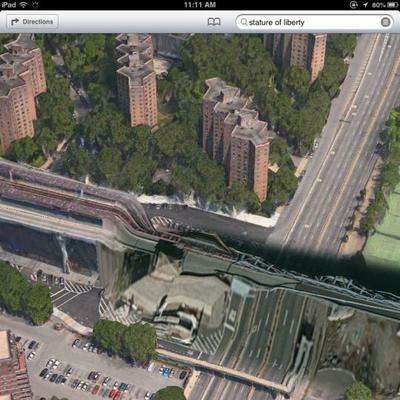 But there’s another alternative: Hit up a Google Map workaround. Apps, like Google Apps Browser – G-Whizz! (free and paid versions), cover several Google products, including Maps. But the simplest answer of all is to create your own web app for Google Maps. 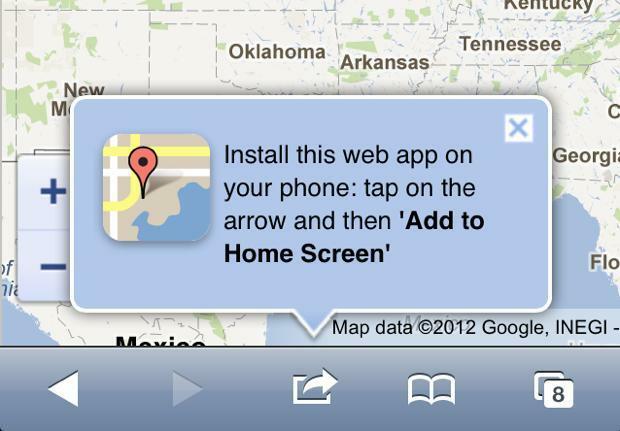 It’s easy: Just fire up Google Maps in Safari, click the arrow icon and save it as a bookmark on your home screen. While it’s not the same as using a native application, at least it restores the data and maps you already know and love. It also won’t place fast food joints in historic landmarks, warp out bridges or totally overlook entire cities. 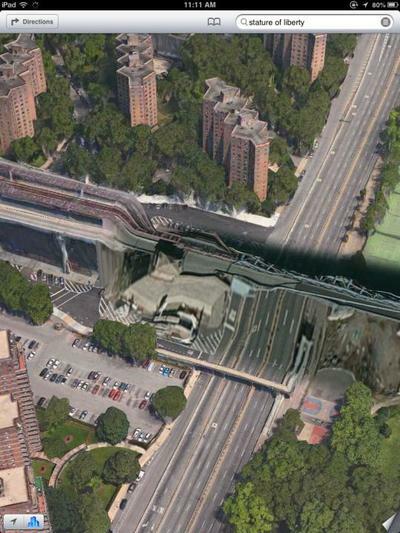 Got your own workaround for Google Maps? Share your solution in the comments below.